Since I’ve spent most of my life in Rome, I always thought that Amatriciana was a Roman dish. However, it is actually from Abruzzo! 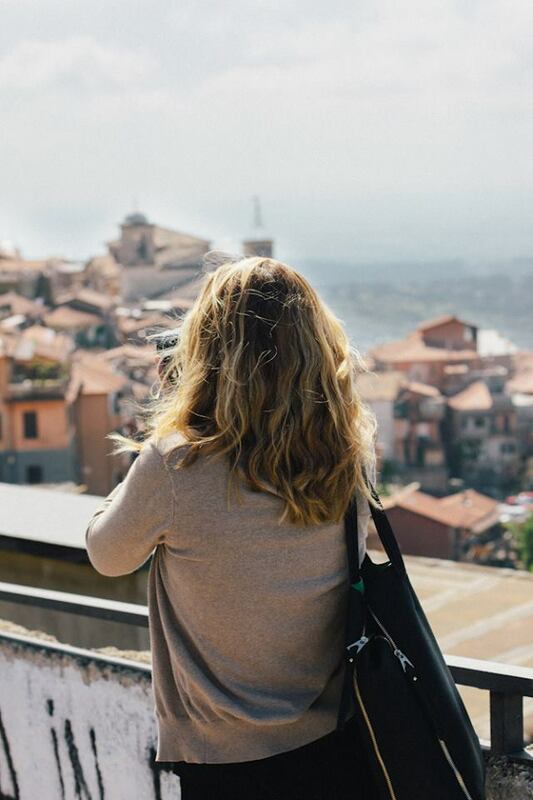 The name comes from a mountain city called Amatrice, which is in Lazio. There are still many disputes over who invented this dish and who added a key ingredient to the sauce : the tomato! It must be San Marzano! This is a simple dish to make, with just a few ingredients, so make sure you use the best quality, since you can taste every single element of the recipe. 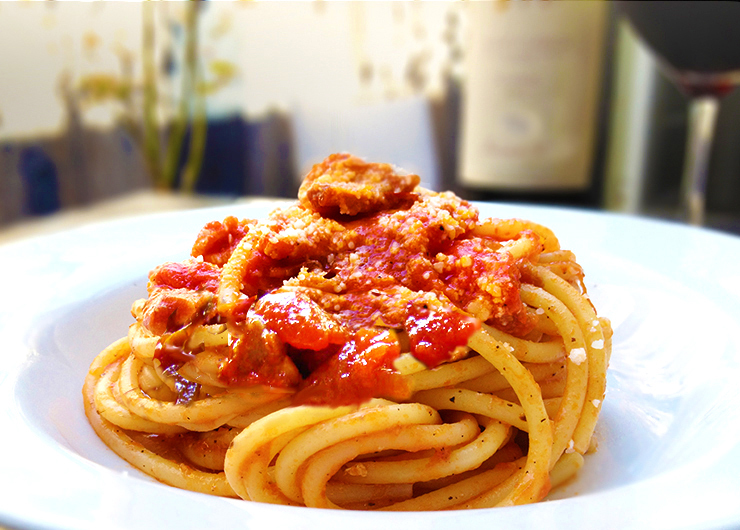 Bucatini pasta is a thick spaghetti with a tiny hole in the center, guanciale is pork cheek, and make sure you use San Marzano tomatoes, imported from Italy, so you can recreate the authentic taste! 1/3 cup freshly grated Pecorino-Romano plus 1 tablespoon for topping at the end. Heat the olive oil in a large heavy skillet over medium heat. Add guanciale, pancetta or bacon and sauté until rendered and crispy. 5 to 6 minutes. Add pepper flakes, black pepper, the crushed tomatoes and stir. Taste for salt and add the 1/2 teaspoon of salt only if necessary. Cook, stirring occasionally, until sauce thickens, 15 minutes. When the sauce is cooked turn off the heat and add the Pecorino cheese. Tip: turn the heat on again 1 minute before you drain the pasta! Add the pasta and cook, stirring occasionally, until al dente. 8 minutes. Drain and transfer immediately to the skillet with the tomato sauce, toss vigorously with tongs to coat. Transfer to a serving dish and top with the reserved tablespoon of Pecorino. Authentic Italian Tip: Never use onions or wine in authentic Amatriciana! 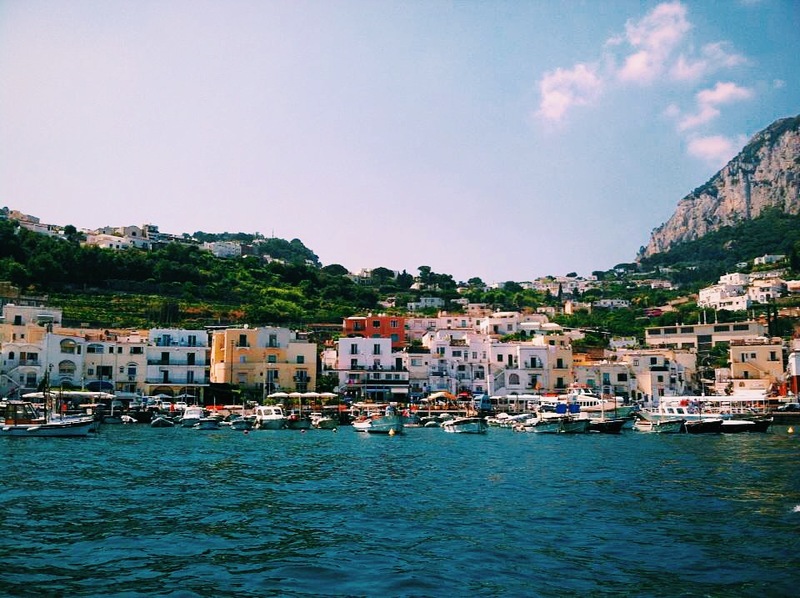 The month of August means it’s summer holiday, or ferragosto, in Italy. It’s hard to believe, but it’s true; nearly everyone in the country takes a vacation for two weeks to a month in August. Shopkeepers and restaurant owners close their businesses, and the city streets are quiet as families flock to the beach, the mountains, or the countryside to relax, recharge, and prepare for the autumn ahead. Even the Mazzoni team takes time off from their work in the vineyards and the cellar. Mazzoni winemaker Alessandro Bindocci and his staff are on holiday until August 17, and will be back just in time to begin harvest. As for the rest of us here in the United States, we can’t all be so fortunate to take a long vacation this month. We’ve been celebrating the end of summer with smaller moments, like delicious meals shared with family and friends, or a relaxing evening in the backyard. Of course, we’ve also been drinking lots of wine. Summer is the perfect time for seafood and sharing boards of charcuterie, so Mazzoni Vermentino Chardonnay has made several appearances on the patio this month. A perfect pairing with oysters, mussels, and medium aged cheeses, this wine is an elegant, savory, and balanced choice to finish out the summer. Aromas of ripened pear and apples along with mineral and spicy notes recall the Italian origin of this Vermentino, and make you feel like you’re almost sitting in the Tuscan countryside, enjoying your very own ferragosto. 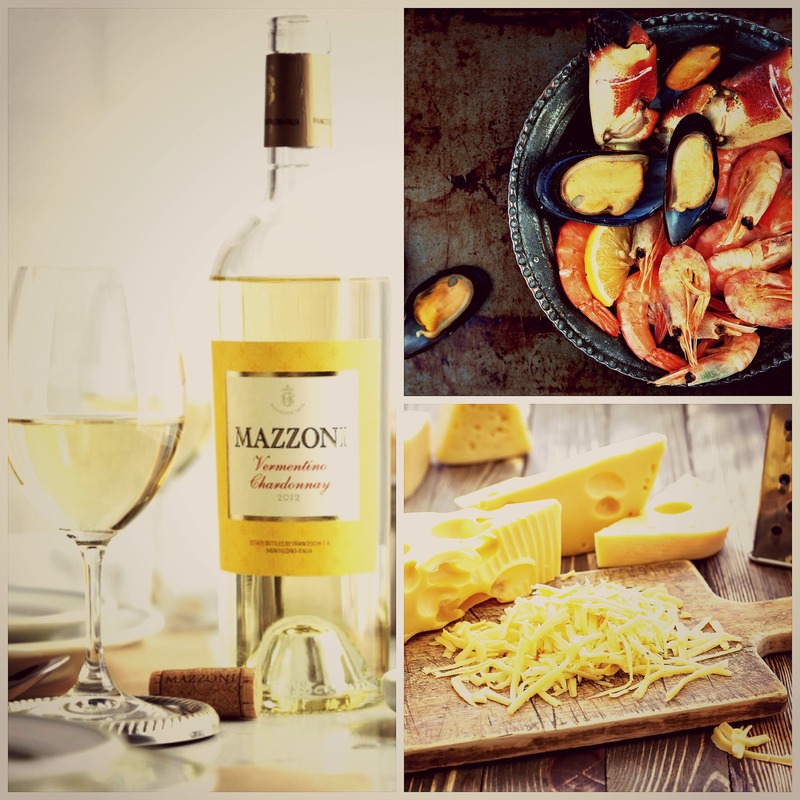 So what’s your favorite Mazzoni to drink in the summer? 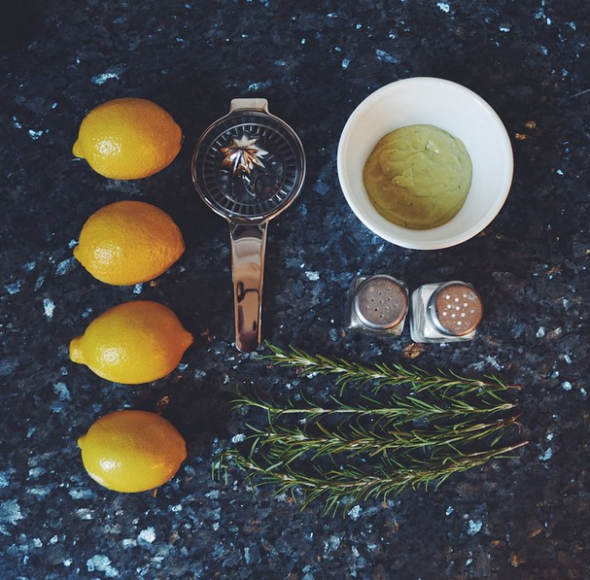 Have any good recipe ideas to pair with Vermentino-Chardonnay? Let us know in the comments below! With the Fourth of July right around the corner, we’re planning lots of outdoor meals to share with our friends and family. Of course, we’re putting an Italian spin on things, so we’ve assembled a full four courses of light, refreshing, summer recipes that will be a hit at all your parties this weekend. The whole meal is a perfect pairing with a glass of crisp, cool Mazzoni Pinot Grigio or Vermentino Chardonnay. What are you most excited to make? Share in the comments below! 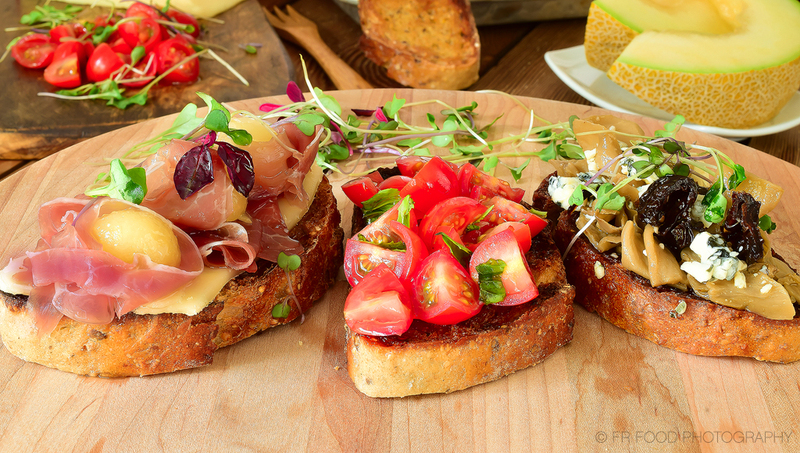 Bruschetta, or slices of toasted, rustic bread topped with simple ingredients, is a classic choice for a starter to an Italian meal. Since it’s usually served with cold toppings, it’s also a perfect choice for an outdoor dinner. Choose from the classic tomato and basil, prosciutto and melon, or pickled eggplant varieties in this recipe – or make all three! 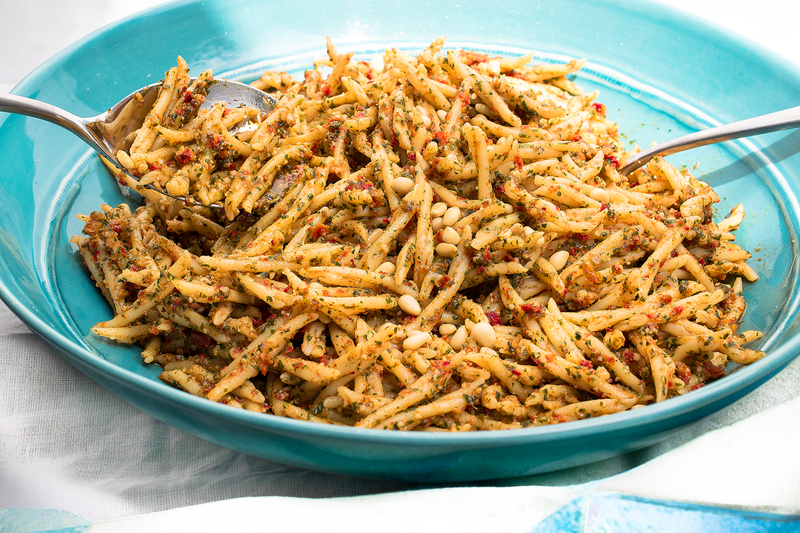 This dish is perfect for summer because it can be served hot or cold, like a pasta salad. A slight variation on traditional pesto, this recipe incorporates sun-dried tomatoes, which are a mid-late summer treat in Sicily. Serve it as a lighter first course, or as a side dish to your entree. If you’re Italian, there’s most likely have an army of relatives walking through your door this holiday weekend. We’re a big fan of this easy chicken recipe for large family reunions. There are only six ingredients, and it can easily be doubled or tripled depending on how many mouths you have to feed. The best part? You’ll have these chicken breasts prepared and grilled in under a half hour so you can spend more time enjoying your family! We love to save the best for last – and if this isn’t the most delicious thing you’ve ever seen, there’s something wrong with you. 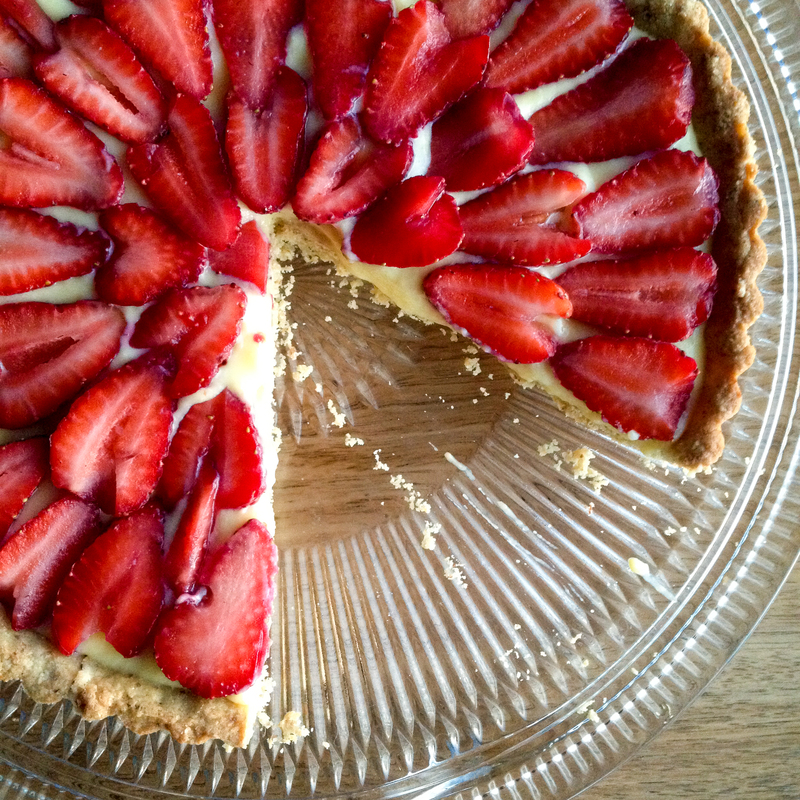 Perfect for a hot summer day, this crostata is a traditional Italian dessert, and melts in your mouth. Grab a slice before it’s all gone – this last dish won’t last long! With summer in full swing and the Fourth of July right around the corner, we’re spending most of our time outside, eating al fresco dinners and having picnics in the park. And no outdoor meal is complete without a bottle of wine or two. 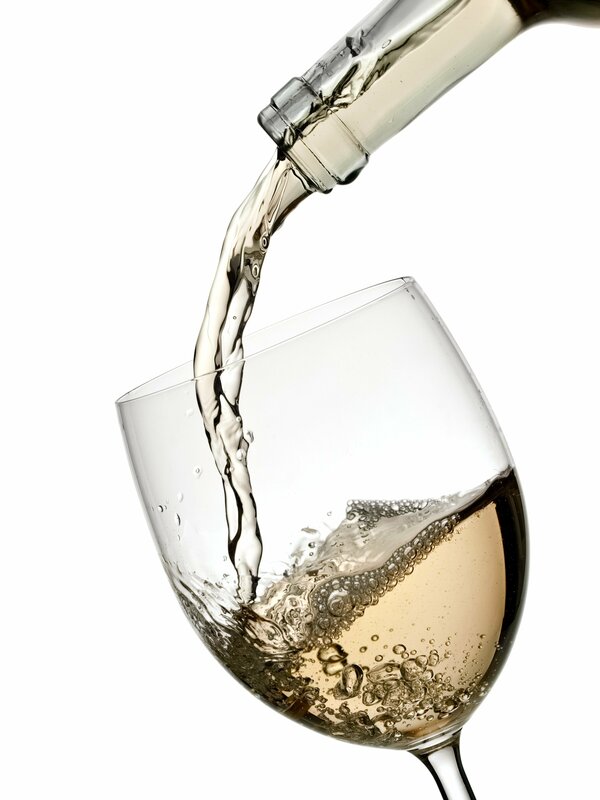 But as the heat rises, so will the temperature of your wine – so how do you keep your whites (and reds?) cold enough to enjoy all summer long? Of course, you’re welcome to serve your wine at the temperature that best suits your tastes. However, we do have a few ideas and guidelines that will shed some light on the art of chilling, and will increase your guests’ enjoyment of the wine. You’ll be drinking like an Italian in no time! 1. Refrigerate that white! You probably already know that you should keep your whites (like Vermentino Chardonnay and Pinot Grigio) in the refrigerator. What you might not know is that you should also take the bottle out of the fridge for a bit before serving it. While a nice chilled white is refreshing on a summer day, letting the bottle sit out for 15-20 minutes will bring out the full depth of aromas and flavors in the wine. Don’t miss out by drinking the wine completely chilled! 2. Yes, you might want to put that bottle of red in the fridge too. But only for a little bit! If you don’t store your reds in a cool cellar, it could be 70-75 degrees or hotter on a summer day, which is a little too warm, and will taste overly alcoholic. Avoid this by putting your bottle of red in the fridge for 20 minutes or so before serving it. Fuller bodied, tannic reds (like Rosso di Toscana) need less chilling, and should be served around 65 degrees. Lighter reds like Barbera can be served at a lower temperature (55 degrees or even lower in the summer, depending on personal taste). 3. Keep it cold! 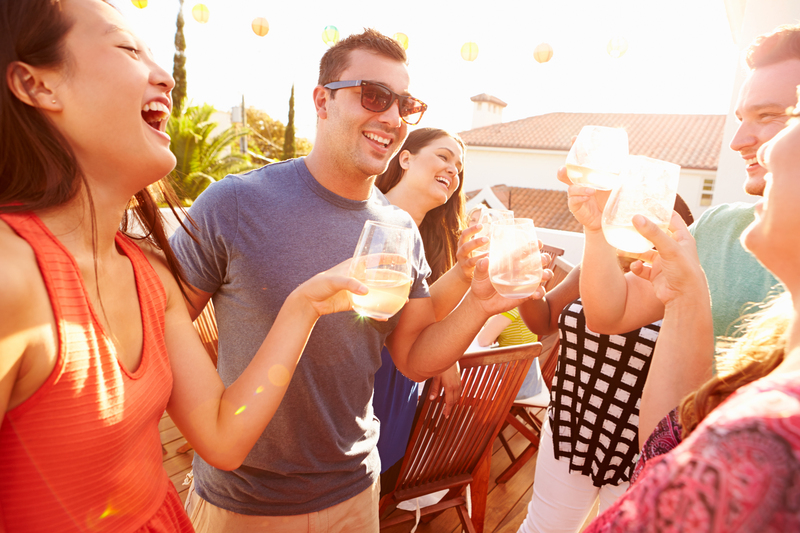 If you’re hosting a party (especially outdoors) in the summer, make sure your wine not only comes out cold, but stays cold throughout the evening. Submerge your whites in an ice bucket on the table, or in a cooler if you have multiple bottles. 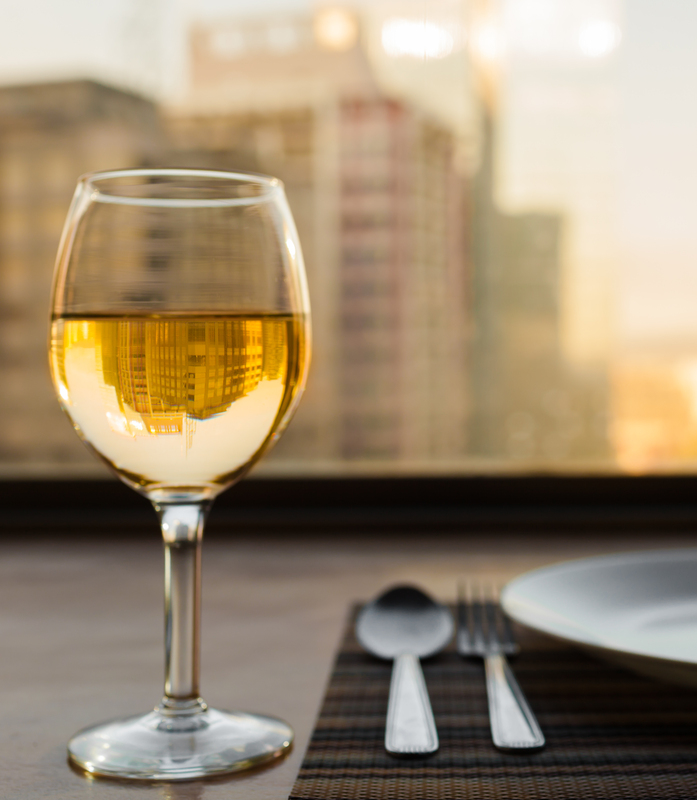 Make sure your wine serving area is well shaded in a spot where the sun can’t heat up your wine too much. 4. Chill it – FAST! If you have an Italian family, you know it’s always a full house, with frequent (sometimes unannounced!) visits from friends and neighbors. Don’t be caught unprepared when there’s a sudden need for a cool bottle of wine. Chill your bottle fast by wrapping it in a cold, wet paper towel and sticking it in the freezer for 15 minutes. When you take it out, just make sure you put it on ice to keep it cold! So what’s your favorite wine to drink in the summer? Do you have any other tricks for keeping your wine cold? Share with us in the comments below!